In June 2013 Kathi Borgmann and Josh Beck embarked on an ambitious multi-year birding expedition. We started in San Diego, California and hope to reach the southern tip of South America. Our journey is about collecting valuable data on bird species, their status and distribution, current conservation issues, and more along the way. We hope that our journey will provide important information about many Neotropical bird species as well as inform conservation. Throughout our journey we are using eBird every step of the way and we are also recording bird sounds for the Macaulay Library at The Cornell Lab of Ornithology. Our recordings can be found online at the Macaulay Library website. 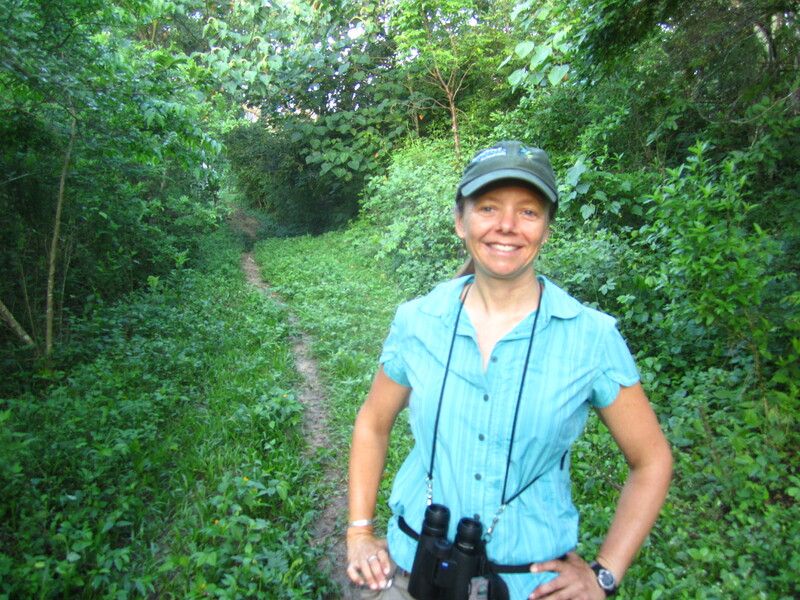 Kathi Borgmann received her Ph.D. from the University of Arizona in 2010 in ornithology examining factors that influence the risk of nest predation in Wilson’s Warblers and Dusky Flycatchers in the Sierra Nevada Mountains. Since completing her PhD, Kathi has lead numerous wildlife restoration projects throughout California and has helped build predictive habitat models for rail species in North America. Kathi is an avid birder and nature enthusiast who has been birding for more than 15 years. Kathi has birded throughout parts of Mexico and Panama and is looking forward to birding throughout the Americas while contributing to avian conservation. For a list of publications click here. Kathi is now a science writer at the Cornell Lab of Ornithology. Josh Beck was first a programmer and engineer, then a winemaker, but has recently decided to pursue biology and conservation full time. 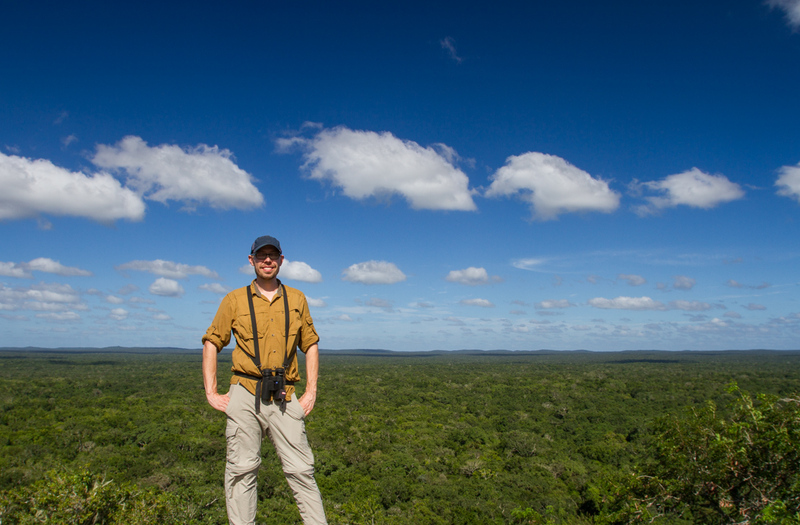 He has traveled climbed and birded in Mexico, Panama, Peru, and Bolivia in the past and is looking forward to dirt roads, adventures, and being able to contribute positively to conservation and knowledge of species status and distribution while en route! I’m glad you two have a blog. I’m looking forward to reading about your trIp and seeing lots of photos! Sounds like a once in a lifetime adventure! bird it up kids! What an exciting learning experience! Enjoyed a wonderful visit with your mom – after 51 years. Sorry I didn’t have a chance to meet you both before you left on your exciting trip. What an awesome journey! So happy to see that you are doing this and sharing your trip with those of us who would love to do the same. I would love to go birding with you when you pass through Costa Rica. If you need info on whatever species, just let me know. Thank you Pat! We would love to meet you and go birding when we get to Costa Rica! We will be in touch. Great, just let me know and keep posting about the amazing birding you guys are doing! It would be great to feature your trip on OverlandSphere, if you have not been to Overland Sphere please check it out out we have over 100 overlanders contributing to the site! My wife and me are planning a trip similar to yours (not to much of bird watching). She is a little worry about safety in Mexico and Central america. What has been your experience? I just stumbled upon your blog while looking for information on Cozumel birding (family vacation in December). I am a graduate student studying ornithology and restoration ecology in central Panama at a field site on land owned by a small environmental non-profit called Earth Train. From the looks of the map, you are currently in Nicaragua. Do you have a time table for when you will be passing through Panama? I will be in Panama from mid-June to late August this summer doing research if you want to stop by! Your trip looks amazing and I wish you well and rugged axles on your vehicle. Kathi and Josh, nice reading about your trip. Your description of the El Triunfo trip came just as I was entering my field notes from my hike up into El Triunfo as a volunteer in the late 90’s into eBird. Enjoy the rest of the trip and I will enjoy from afar! Kathi, Josh, great trip to Cerro Pirre. We are planning to do this in January 2015. In case you need information on birding in Colombia, you’re always welcome. Hi Jurgen, we have your new Colombia birdfinding book and are salivating over it as we prepare for Colombia in a couple months! Lots of adventures in store there, and plenty of hard and barely known birds. It would be fantastic to be in touch with you when we get to Colombia, perhaps we can meet or bird a bit? Hi, you have beautiful images! I would like to discuss the possibility of using one or two of your bird images in a web componant of an exhibition i am working on. Would this be possible? Hi guys! Great website! When thinks settle here in Venezuela, do come to bird the tepui area. You´ll love it! HI, I found your report on the eastern slope in Ecuador really exciting. I’ll be going there in June–I know, a rainy month but I can’t help the timing. If one could only go to either San Isidro or Wild Sumaco, which would you recommend? I’ve never birded in the Andes region before. Thanks for any tips. You are living my dream. I have noticed how little there is recorded about many species in Cornell’s Neotropical Birds Online, and I would love to be able to contribute to this effort. I am curious to know more about how Josh transitioned from his other lines of work to take this on full time — especially with regard to education and training. Did that all come while in the field? I am finally leaving the U.S. to explore birds in Costa Rica for two weeks this April — the first part of my dream! But then I will be returning to my more sedentary life in Pennsylvania as I am not independently wealthy. Feel free to contact me by email if you have any words of encouragement! Just working on my scrapbook photo album for our 2014 Panama trip and I looked up your blog. We were with a group from Canopy Tower birding Pipeline Road on August 2, 2014. We met you on the trail. Is there a way to upload a photo here? Or to send you one? We have a nice photo of Kathi and Josh on Pipeline Road that day.